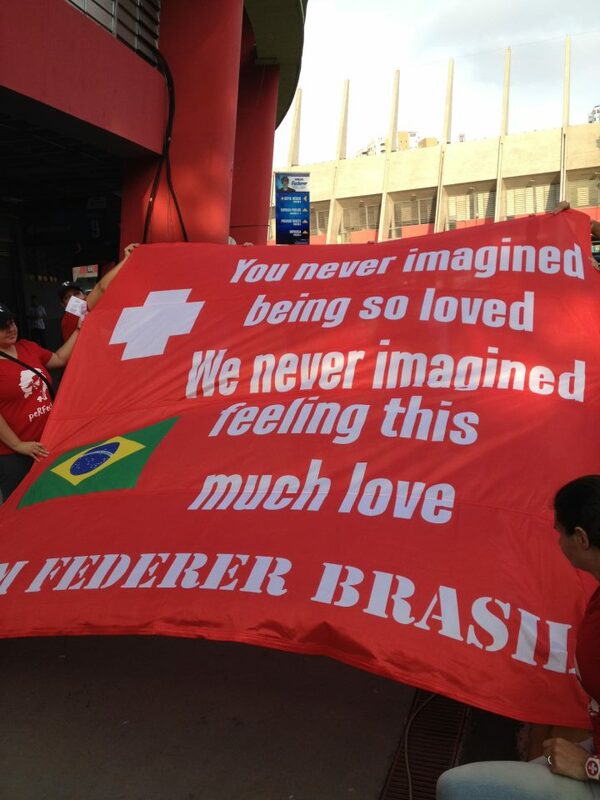 A show of subtle technique and mesmerizing charisma made ​​the joy of those who had the opportunity to see the finale of Gillette Federer Tour in Ibirapuera Gymnasium, with Roger Federer's victory over German Tommy Haas 6/4, 6/4, with both wearing the shirt of the Brazilian national football team. After four days, with eight players among the top 10 and eight matches high-level, the event had a closure worthy of its importance. Roger Federer and Tommy Haas made a spectacle worthy of closing entitled with some of the best hits by both the players, the volleys that drew applause from the crowd and crowd cheered for every point. During the second set, Haas took off his shirt in the middle of the game and surprised the audience when he put on a blue shirt of the Brazilian national football team. It did not help, Federer broke the service of German and got closer to victory. 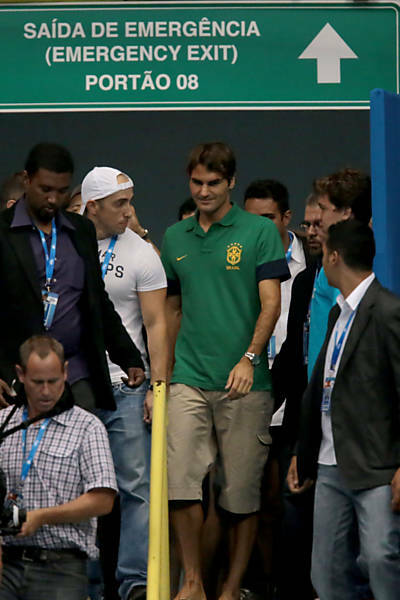 Then it was time for Roger Federer to leave the court running and let the audience anxious for what would come. On his return to court, the Swiss was all uniform number 10 with the yellow of the Brazilian team, the official shorts and socks, plus a sweepstake. Haas and Federer played some great tennis with their "Brazilians" dresses, the match finished with Federer hitting a beautiful volley to the delight of their fans. Federer Gillette Tour was held from 6 to 9 December in Gym Ibirapuera in Sao Paulo, with the tennis players Roger Federer, Jo-Wilfried Tsonga, Tommy Haas, Tommy Robredo, Thomaz Bellucci, Bob Bryan, Mike Bryan, Bruno Soares, Marcelo Melo, Maria Sharapova, Serena Williams, Victoria Azarenka and Caroline Wozniacki. Besides their matches, the players participated in several clinics and other events during all four days. The match had every thing for fans to remember this grand finale for a long-2 time. Roger Federer will be reaching Buenos Aires on Monday, 10th December 2012 at 19:10 ART Local time for playing 2 exhibition matches vs Juan Martin Del Potro. And Federer's Gangnam style dance hehe, he is so cute .